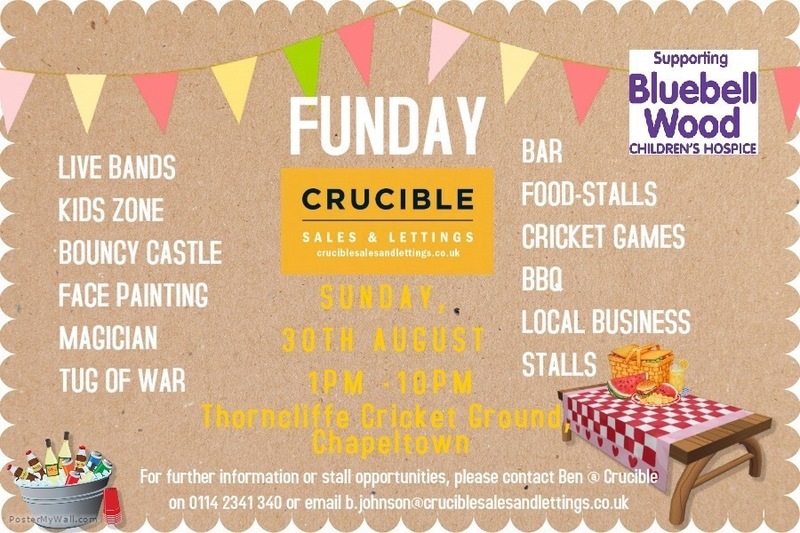 Sharon Berry School of Theatre Dance are proud to be supporting our Disney track suit sponsors Crucible Sales and Lettings with their first ever Community Festival at Thorncliffe Cricket Club, Chapeltown on Bank Holiday Sunday 30th August 2015. This will be a fantastic FREE ENTRY event for all the family with a range of activities, games and fun for all ages. ALL proceeds from the event will go to Bluebell Wood who are a wonderful local charity. We decided to arrange a ‘Berry Bag Bonanza’. As always our pupils, parents and extended families have been fantastic with their donations and we have 80 adult prizes and 80 for children. On the day tickets will be sold and if a ticket is chosen ending in 0 or 5 the lucky winners can choose any bag. We would love to see as many pupils and their families as possible during the day. Thank you again for your generous donations; Team Berry have done us proud yet again!